The Edinburgh Property Blog: Edinburgh homeowners – what is the 2017 General Election effect? 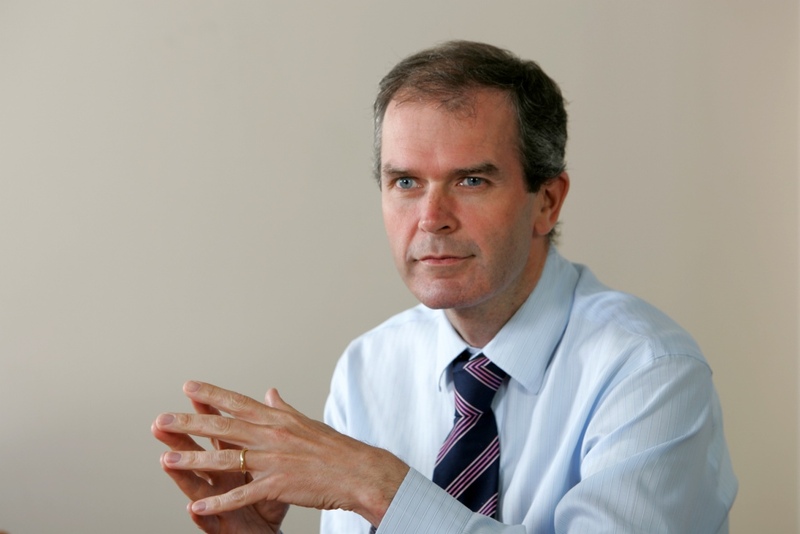 Edinburgh homeowners – what is the 2017 General Election effect? The best way to tell the future is to look at the past. So I have looked over the last five general elections and analysed in detail what happened to the property market on the lead up to and after each general election. Some very interesting information has come to light. 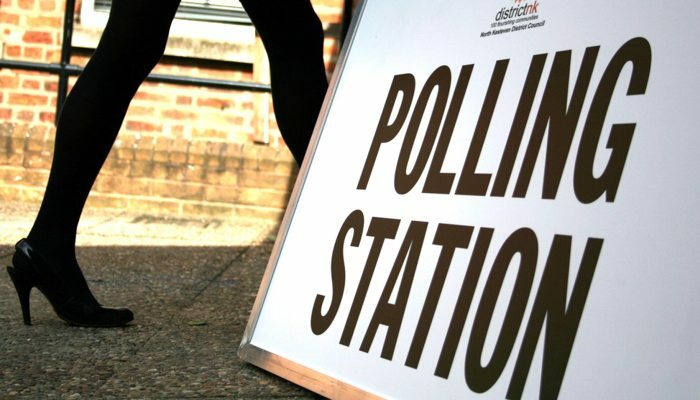 Of the last five general elections (1997, 2001, 2005, 2010 and 2015), the two elections that weren’t certain were the last two (2010 with the collation and 2015 with unexpected Tory majority). Therefore, I wanted to compare what happened in 1997, 2001 and 2005 when Tony Blair was guaranteed to be elected/re-elected versus the last knife edge uncertain votes of 2010 and 2015… in terms of the number of houses sold and the prices achieved. 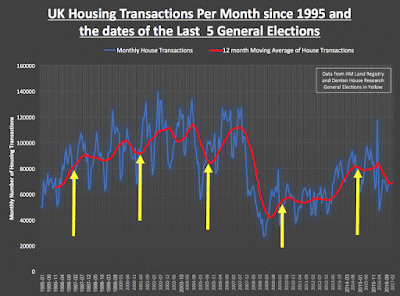 Look at the first graph below comparing the number of properties sold and the dates of the general elections…. It is clear, looking at the number of monthly transactions (the blue line), there is a certain rhythm or seasonality to the housing market. That rhythm/seasonality has never changed since 1995 (seasonality meaning the periodic fluctuations that occur regularly based on a season – ie you can see how the number of properties sold dips around Christmas, rises in Spring and Summer and drops again at the end of the year). To remove that seasonality, I have introduced the red line. 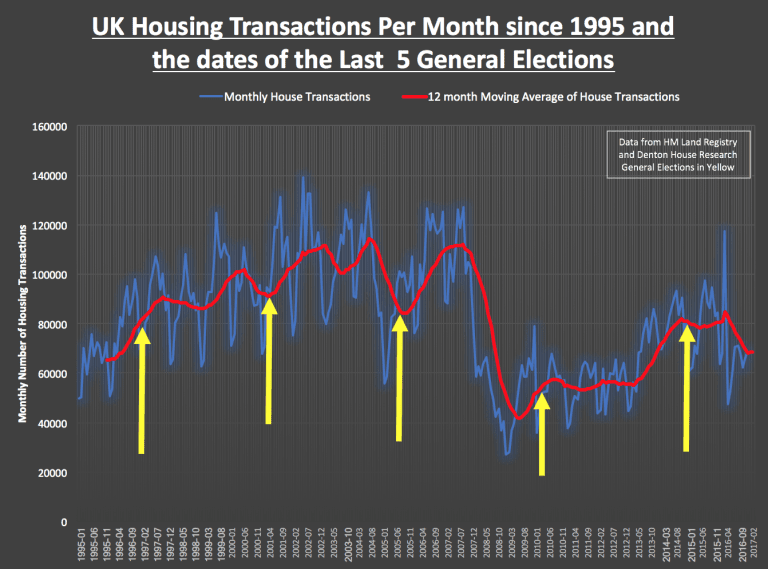 The red line is a 12 month ‘moving average’ trend line which enables us to look at the ‘de-seasonalised’ housing transaction numbers, whilst the yellow arrows denote the times of the general elections. It is clear to see that after the 1997, 2001 and 2005 elections, there was significant uplift in number of households sold, whilst in 2010 and 2015, there was slight drop in house transactions (ie number of properties sold). Next, I wanted to consider what happened to property prices. 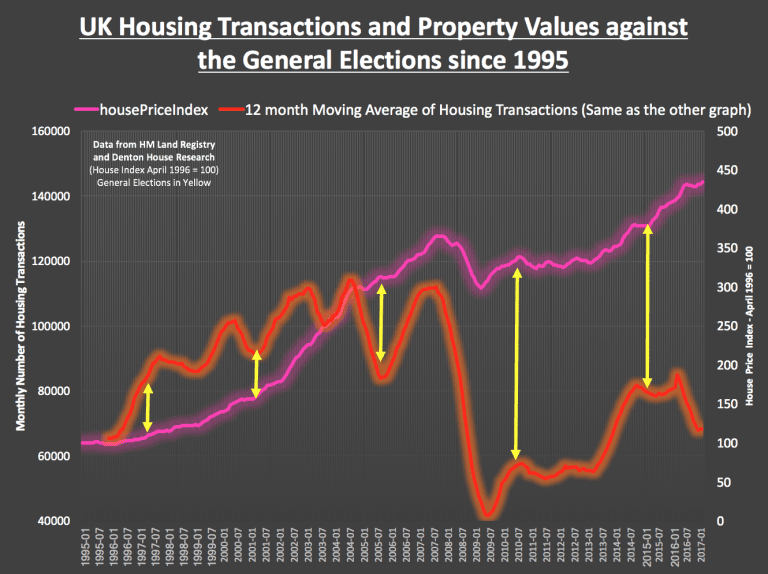 In the graph below, I have used that same 12-month average housing transactions numbers (in red) and yellow arrows for the dates of the general elections but this time compared that to what happened to property values (pink line). 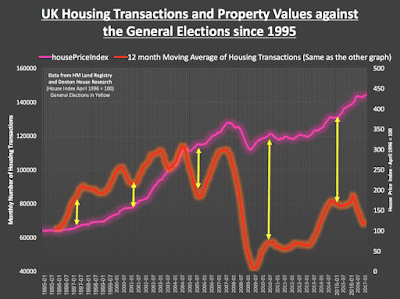 It is quite clear none of the general elections had any effect on the property values. Also, the timescales between the calling of the election and the date itself also means that any property buyer’s indecisiveness and indecision before the election will have less of an impact on the market. So finally, what does this mean for the landlords of the private rented properties in Edinburgh? Well, as I have discussed in previous articles (and just as relevant for homeowners as well), property value growth in Edinburgh will be more subdued in the coming few years for reasons other than the general election. But, in the long term, as the younger generation still choose to rent rather than buy … the prospects, even with the changes in taxation, mean investing in buy-to-let still looks a good bet. If you want to read more about the Edinburgh property market – then why not visit theedinburghpropertyblog.co.uk for more information?